Specify custom logo files and colors to be displayed on the Portal's Web interface. This system is currently under development and in a beta status. By using this site, you acknowledge that not all functions may work as expected and the system may change at any time. Functionality is not guaranteed and should not be relied upon for mission-critical applications. For more information, please contact the webmaster. To share this map with a user already registered, press "Add Share", enter their username or registered email address and press save. This map will then be added to that user's account under "Shared Maps", or they can use the link/url to login and view. To enable link-sharing, press "Add Share" and leave the field blank, then press save. Anyone who is provided with the link/url will be able to view and interact with this map. New shares are automatically created with a set timelimit, after which they will expire and no longer be accessible by shared users / links. Shares can be extended or revoked at any time by the map owner using the links next to the share details. You have reached the limit of sub-users on this plan. Map Limit Reached... Please consider upgrading your account subscription. Layer Limit Reached... Please consider upgrading your account subscription. File Size Too Large... Please consider upgrading your account subscription. Use the checkboxes to choose which layers will be included with the exported map. Click and drag layers to adjust the order. Output file will be built in reverse order, so top-most layers in this list will be rendered first and the next layer(s) will be overlaid on top. Map export generation can take 1-2 minutes depending on size of map, please wait for the download link to be displayed when file is ready. Please enter the new projection details for this file/layer. 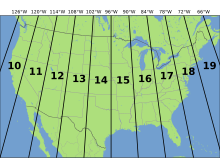 If no projection information is provided or cannot be auto-detected, your input files may not show up in the correct geospatial position or scale. Nearest City/Town: To assist with the auto-detect for unknown projection files, please enter the name of a nearby city or town including state/province. Below are the flags the server has recorded to control how a file or layer is processed and displayed. Please use caution, as changing these values may lead to unexpected results and/or data not being visible. Metadata can be viewed and edited using the text box below. Please use caution, as changing these values may lead to unexpected results and/or data not being visible. Email our support department or call 1-888-845-4419 during regular business hours. Email our development team with ideas or suggestions to improve this portal. Below you will find a list of tutorial videos for common operations using the Portal system. Please enter a username/email and password to login. Please enter your details to complete the sign-up process.